Extended family of 24 awoken after first Seder to carbon monoxide alarm; none hurt. 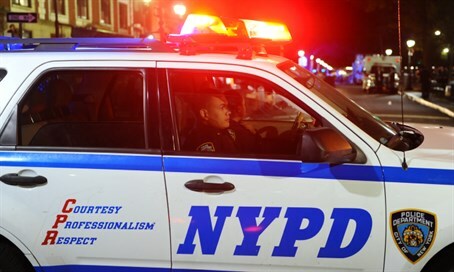 The first night of Passover ended with a trip to the hospital for 15 New York City residents Friday night/Saturday, after an extended family of 24 people was wakened by a carbon monoxide alarm after their first Passover Seder. Four generations of the Eagle family of New Rochelle were asleep at 4:30 am Saturday when the alarm sounded. New Rochelle Police and the local Fire Department rushed to the scene and immediately evacuated the residence. Family matriarch Linda told LoHud that emergency services had been "spectacular," and gratefully noted that the entire incident was a "Passover miracle." The leak appears to have been from the Eagles' oven, the daily said, and ComEd officials arrived to repair it Saturday night. In the meantime, the second-day meal will just be chicken soup - but the family is grateful to be alive. Linda noted that the first night is also called the Leil HaShimoreem, the guarded night.